Well it was this morning when I opened up for the builders. But on a sunny day like today it is the perfect time to let you know about the Fig. 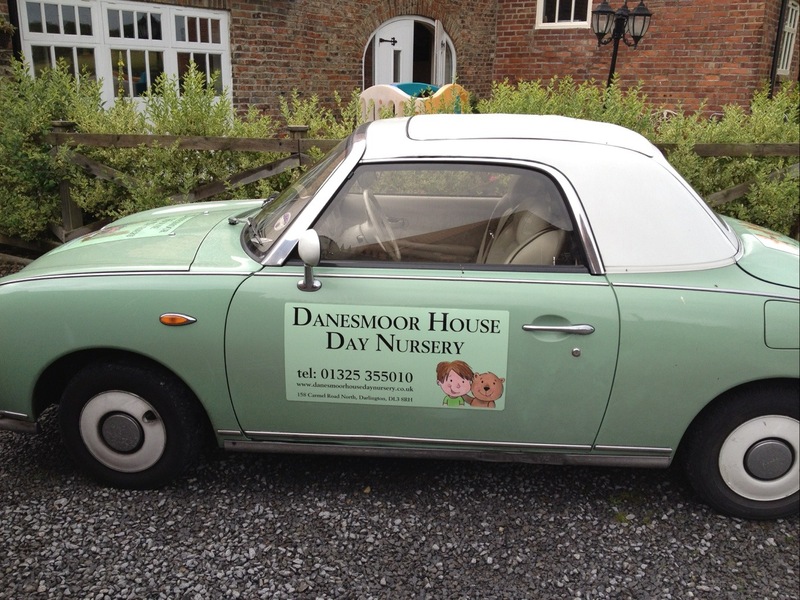 You may have seen Claire around town in her little Figaro. You certainly can’t miss her now as the team at Classic signs have given it a face lift by covering it in our bear and his boy logo. If you see us out and about give us a wave. The internal work on the children’s toilets started today. 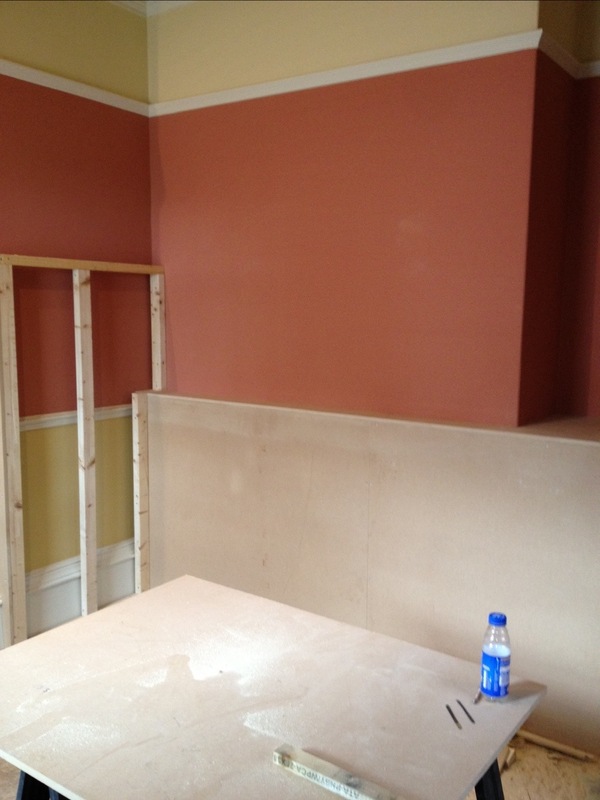 First job to be done is the paneling that’s going to protect the original skirting boards and walls from water damage. This will then provide a back for the new low level stalls. The venting has also gone in today to bring in fresh air. All the magnetic safety doors are now installed by ADT, and it has to be said that you wouldn’t know they had been in. All the wires have been hidden so as not to impact on the buildings interior. 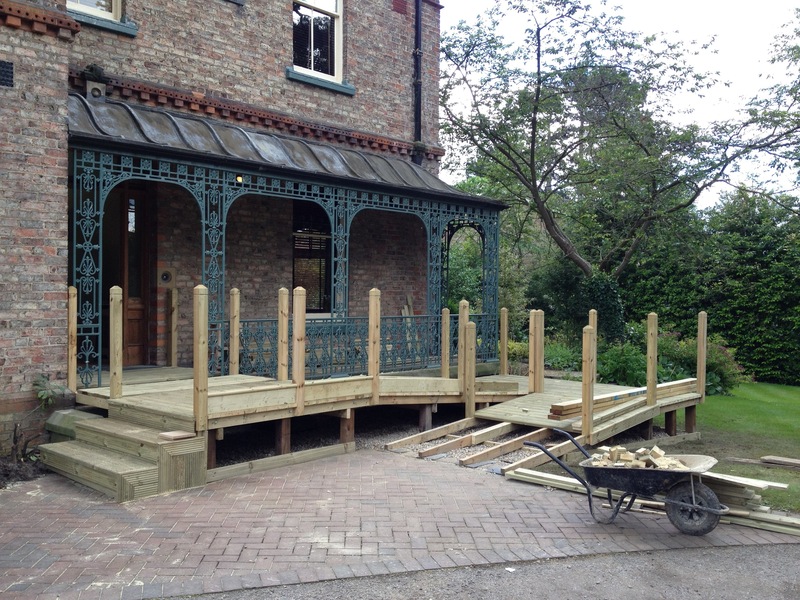 With the sunshine came the opportunity to press on with the ramp. The gravel has been laid underneath to prevent the growth of weeds and feels to me the most solid, non permanent, structure I have ever encountered.